The long, white sand beach of Playa Santa Teresa, by the shimmering Pacific Ocean and lush green jungle, is perfect for horseback riding. Explore the remarkable palm-fringed shore at sunset – what better way to enjoy the sensational colors and sights of the day’s end! Nearby places like Montezuma, Mal Pais, Cabo Blanco Nature Reserve, and other beaches are equally wonderful for horseback riding. 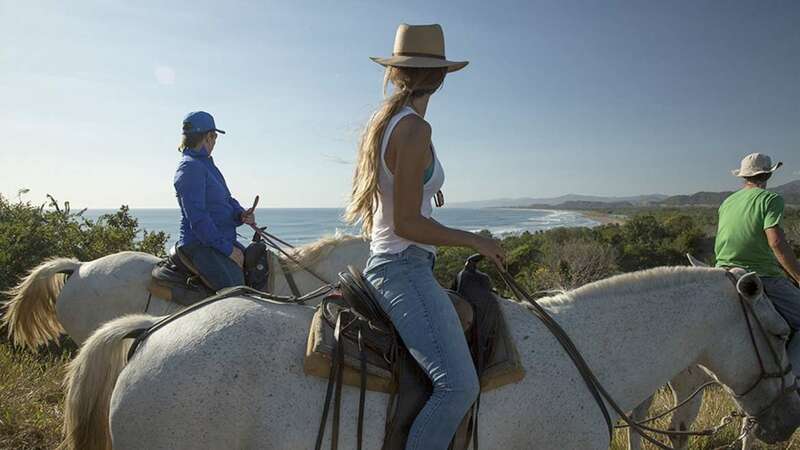 Check with your personal concierge at Cala Luxury Vacation Homes to arrange an unforgettable Santa Teresa horseback riding experience for you, your friends and family.